After the Trump administration was exposed for diverting $9.8 million from FEMA in order to fund ICE jails, it has come to light that this wasn’t the only agency to have its funding ransacked. Official budget documents from the Department of Homeland Security reveal the extent to which money was shuffled around in order to support the rapidly growing need for facilities to hold ICE detainees and increased deportation activity. In total, roughly $202 million was reallocated to ICE this year among DHS agencies alone. This includes $34 million from the TSA, $29 million from the U.S. Coast Guard and $1.8 million from the Domestic Nuclear Detection Office. Even $33 million was shifted around within ICE and put towards jailing and deportations. And this is just the tip of the coming iceberg: ICE has asked Congress for an additional $1 billion solely for deportations, if it is to meet the requirements as laid out by the Trump administration. There are a few layers of irony to acknowledge, given what we now know about ICE funding. 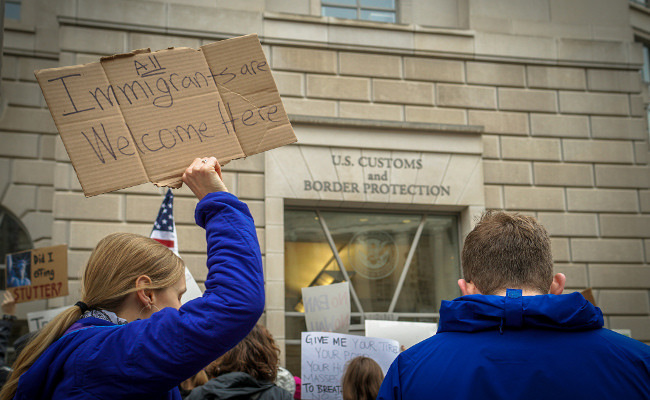 It shows that the justifications given by President Trump and the supporters of his immigration crackdown are, at best, flimsy, and at worst, deliberately disingenuous. First would be the fiscal conservative argument: Undocumented immigrants must be forced to leave because they are draining resources from their communities and from the United States as a whole. Setting aside the fact that such a claim is highly dubious, it is rather incredible that while letting the children of undocumented immigrants go to public school or giving food assistance to their parents is considered completely unacceptable, there is little concern for the millions (and, soon, billions) being used to buy immigrants airplane tickets to leave the country. Then there is the other wholly unjustified claim that these undocumented immigrants are dangerous criminals and this crackdown is a measure intended to make the United States safer. If this is truly such a paramount concern, then surely there would be an enormous outcry from these very people over the defunding of agencies and programs which proactively prevent cross-border crime like the U.S. Coast Guard or safeguard against nuclear threats. What astounding feats of mental gymnastics will be performed to rationalize this? Let’s face it, ICE’s immigration jailing and deportation campaign has nothing to do with making the country safer or maintaining law and order – it’s about getting “those people” out of “our” country. It’s xenophobia and racism. At best, perhaps it is willful ignorance – though this is itself, of course, rooted in at least a modicum of xenophobia. Such individuals should stop trying to hide behind a manufactured sense of righteousness and own it. They are, at least tacitly, supporters of white nationalism and little more.